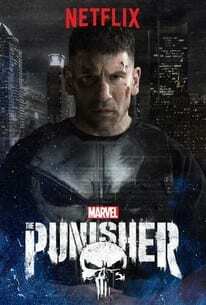 The Punisher season two came out on January 18 with Jonny Bernthal as the famous comic book character Frank Castle, or The Punisher. The main villain is Billy Russo, A.K.A. Jigsaw, who is from the comics. There is a side villain named John Pilgrim. His character isn’t in the comics so he was made up for the show. Giorgia Whigham plays the new character Amy Bendix who was a runaway teen that Frank protects from getting killed from John’s army. Frank takes Amy with him on his journey, and this forms an amazing relationship between the two. Amber Rose Revah plays Dinah Madani who is a Department Of Homeland Security (DHS) Agent who was in the last season. She appears this season and plays a major part in taking down Billy. After the last season, Billy Russo is in the hospital getting his face fixed up from the last fight with The Punisher. He is in rehab because he has lost many of his memories. When he dreams, all he sees is the white skull of the Punisher’s vest because Frank is the one who put him in the hospital. Meanwhile, Frank is in Ohio because he wanted to get as far away from New York as he could, but initially he ends up going back. When he is in Ohio, he stops Amy from getting killed in a bar by John’s crew. After that, Frank finds himself in a county jail. Conveniently, John is hunting Amy because she knew about something that John did. He gathers up all of his men and stakes the jail out. The guards don’t trust Frank, but they know he is the only person who can save them. Frank goes out and saves the people, but John gets away. Dinah Madani shows up and takes Frank and Amy back to New York. They hunt down Billy because he is terrorizing and stealing from the city. Will Frank defeat Billy? Watch the show to find out! RATING: I enjoyed watching this show. Definitely a 7/10 for me. UPDATE: After The Punisher Season 2 was released, they immediately said that it would be canceled. This was pretty sad because this means that all of the Marvel shows on Netflix would be canceled. But there is hope! The shows could resume on Disney Streaming Platform. Only time will tell.